These films may not have made this list but still may make my end of the year top 10 list. You can read my reviews for them (above). For this midseason though, I am shifting the focus from making a top 5 to the best five (in no particular order). These films leave a unique and lasting effect. That lasting effect is the ultimate payoff that is shown within the quality that define this lists. Zootopia – There is something pure that comes out of storytelling. What makes it more magical is when you can bring out purpose, worth and story within an animated feature. Disney is a place of many amazing characters and worlds. This film is no exception. As explained in my review, this story gives the true definition to the word escapism. By provide wealth through various social themes while creating something fun for the kids, Disney shows that blending many traits you can create a worldly experience. 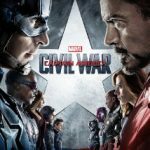 Captain American: Civil War – Superhero films can be very repetitive; pulling on the same heroic clichés to create hollow entertainment. For Marvel, they have veered into a different direction. By placing factors within characterization and storytelling, they have pulled around from those common traits. The culmination (so far) of their MCU has reached an amazing point with this new feature. As explained in my review, this one does something more than just create another superhero film. 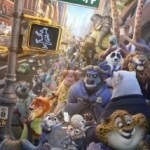 It goes beyond the standard genre by combining realistic themes/tones within the blockbuster experience. This is a near perfect superhero tale. 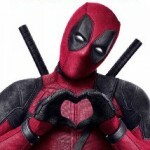 Deadpool – This is a film not meant for kids that goes beyond comprehension to create something that no one has ever seen. As mentioned above, you have to go beyond the commonalities to standout within certain genre. This one does this by taking unexpected turns and bending rules of what is a superhero. By playing against the predictable tropes; Deadpool is an obscure, outrageous, bizarre but original experience. From the slick/ridiculous dialogue to the over-the-top bloody action scenes, this film redefines what you think of the ‘hero’s tale’. To reiterate something from the review, this is everything packaged in an unrelenting force of its R rating. It is imperfectly perfect. The Nice Guys – What captures the true art of filming is the ability to bring about originality. There’s always a few films that come out that do this in unexpected ways. This film does this by combining multiple genres within the art of dialogue. Through the combination of a period piece (the 1970s), we get a journey that plays against the buddy cop tropes within the mystery genre. As explained in my review, Shane Black brings us a film that is dramatic, comical and certainly unpredictable. 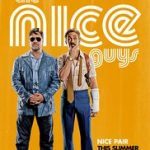 With the addition of the dynamic relationship between Ryan Gosling and Russell Crowe, The Nice Guys will have you believing that there will be films will always be able to bring a refreshing experience. 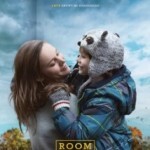 Room – The ultimate experience is something that tugs at the human soul. No matter if its drama, action, comedy or horror; if it tugs at you it is a worthy of that lasting effect. There is only one word that I can be used to describe this film; perfection. Room is something that can’t be explained in a quick excerpt; so I’ll just say read my review and go watch the film. This movie is what you call the pure cinematic experience.